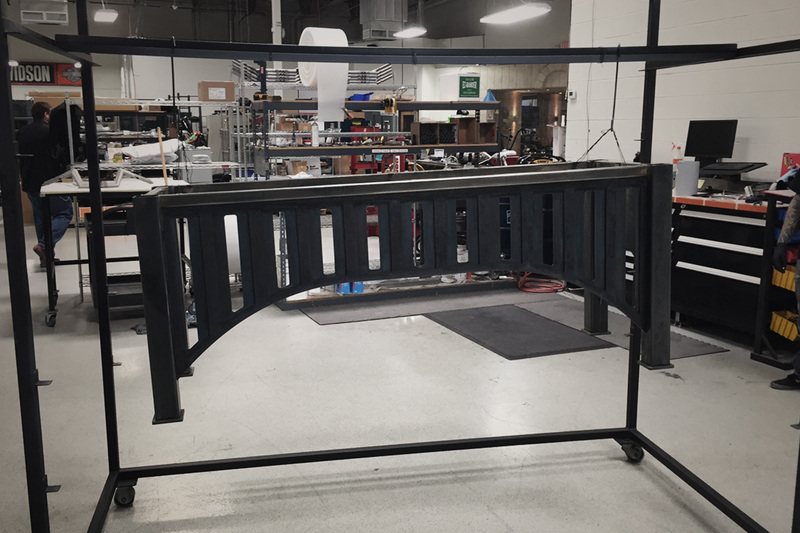 Inspired by the massive steel arch bridges that span our nation’s gorges and rivers. 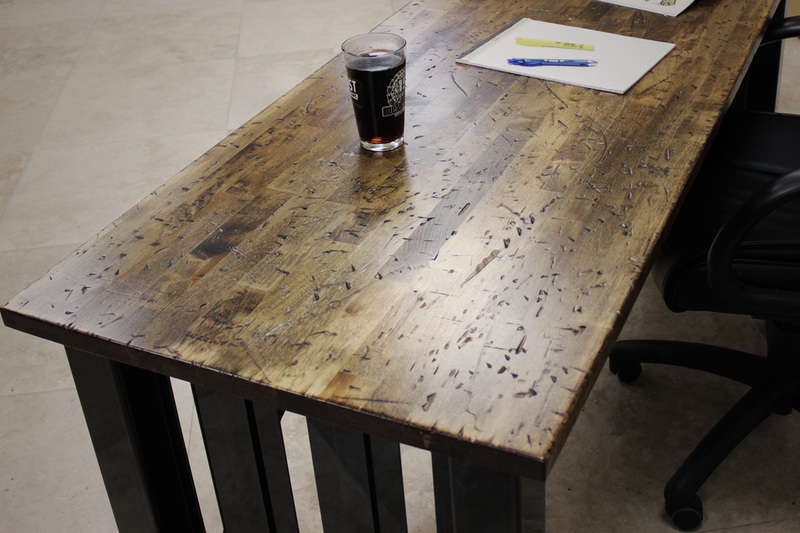 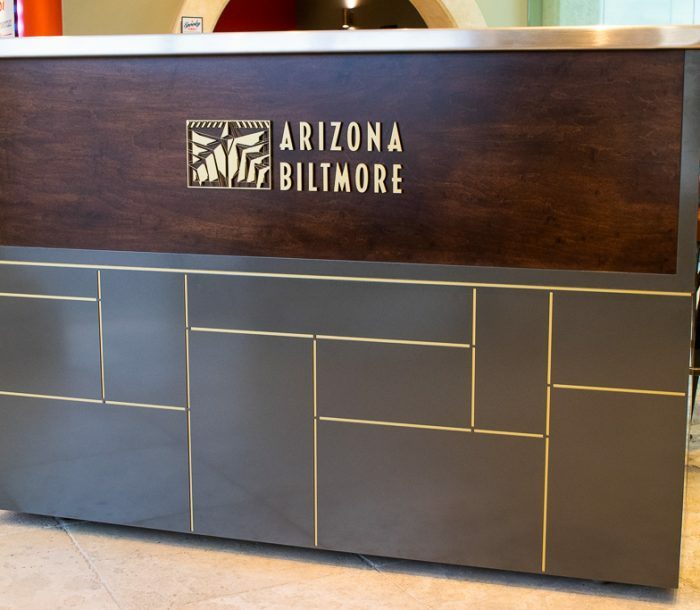 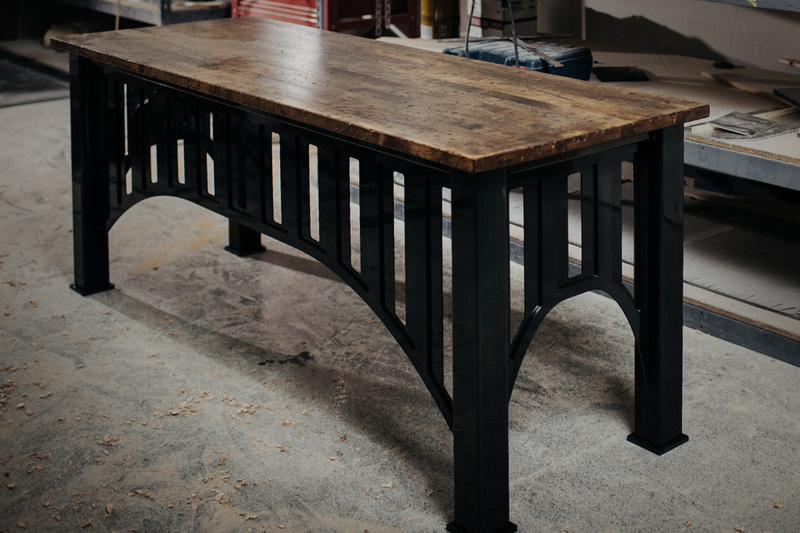 Built from 2” square steel and spanned by 3/8” thick metal arches, this desk is both rugged and elegant. 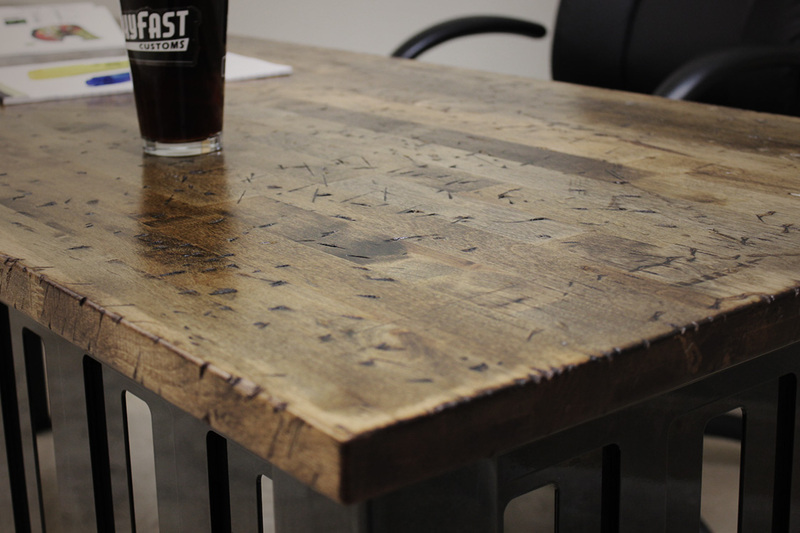 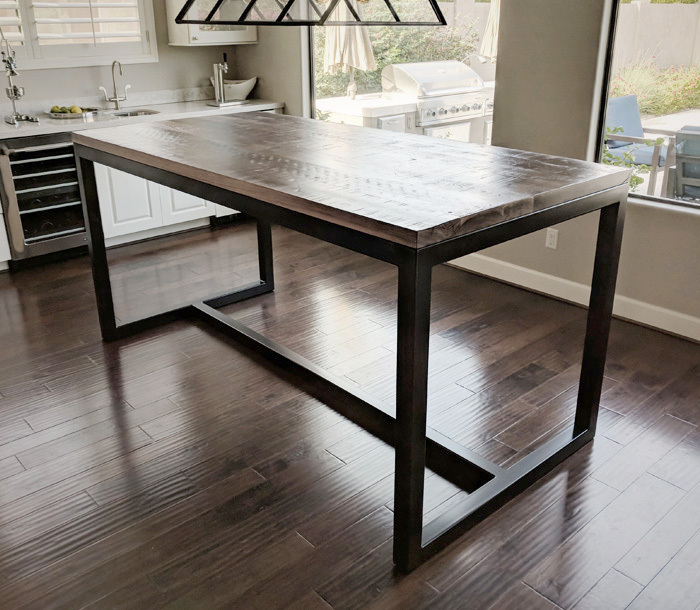 Finished in black patina with a glossy clear coat and distressed birch butcher block wood top, it’s a statement piece that stands out in any setting.